We have detected that your browser has disabled cookies. Please enable cookies in your browser settings or you may experience errors. Always know where your next EV charging session will be. With Blink Mobile, bring the Blink Network wherever you go. Find and view in a map or list the public elecrtric vehicle charging stations on the Blink Network whether or not you are a Blink Member. Use current location, manually set a location, or search to find the EV charger locations - all marked by pin icons. 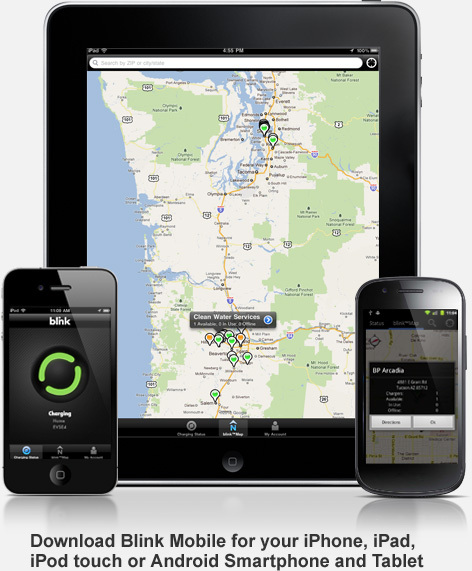 Once a driver locates and selects the Blink EV charging station in the Blink Mobile App, drivers have the ability to start an EV charging session directly from the App. Once a driver locates and selects a Blink DC Fast Charger in the Blink Mobile App, drivers have the ability to select the charge percent (in 10% increments) for DCFC sessions directly from the App. Would you like to be notified when a station that is currently busy becomes available? Now Blink Members can! -Login to your account. 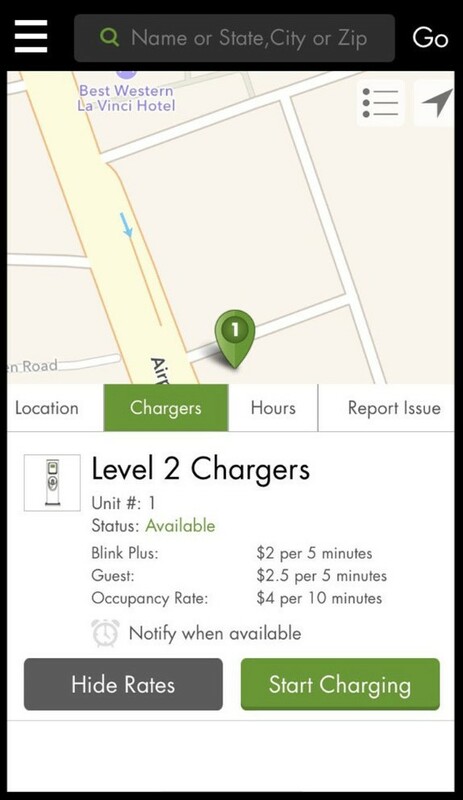 Locate a charger on the Blink map, tap on the station icon or name to view details, such as address, fees, and hours. -On the Charger tab, tap on the clock icon next to "Notify When Available" to enable the push notification. Sign up to become a Blink member, access and edit your account information, including profile, billing, InCards, and charging status notifications (email or SMS text message) and define default charging locator settings. Apple and the Apple logo are trademarks of Apple Inc., registered in the U.S. and other countries. iPhone is a trademark of Apple Inc.
© 2018 Car Charging Group, Inc.